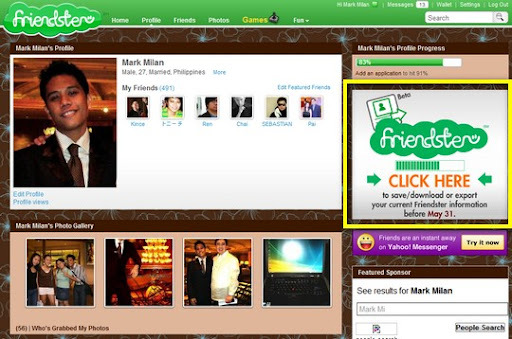 On May 31, 2011, Friendster will unequivocally delete all photos, blogs, testimonials, comments and groups uploaded or created by its users. The website is doing this is part of its strategy to become more of an entertainment and gaming hub rather than a social network. 1. Log-in to your Friendster account. 3. 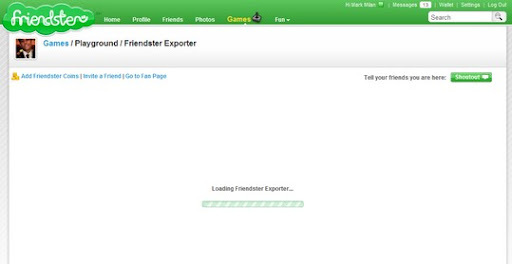 Go to the Friendster Exporter App by clicking on a banner located on the right side of the profile page (inside yellow box above). If you can't find the banner, click HERE instead. 6. 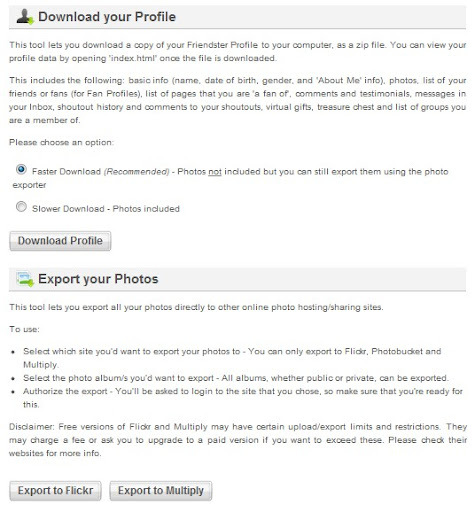 You can choose to save your entire profile, including photos, in one go (slower download) or you can just save your profile with testimonials, blogs and comments and export the photos to Flickr or Multiply. I'd suggest you just download everything. 7. 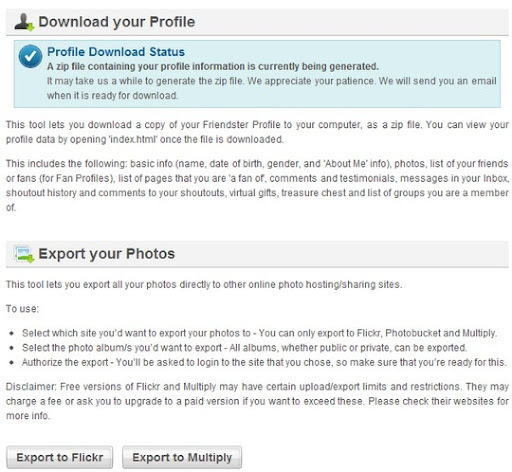 If you choose to export your photos to Flickr or Multiply, you'd have to log in to either of your accounts and authorize the session. 8. If you decide to just download everything at once, you'd have to wait for an email from FS telling you when the ZIP file containing all your profile data is ready for download. That's it. Oh Friendster, we'll miss you. bkt ibang add po ang nalabas sa profile ko? help nman po..
Weird.. 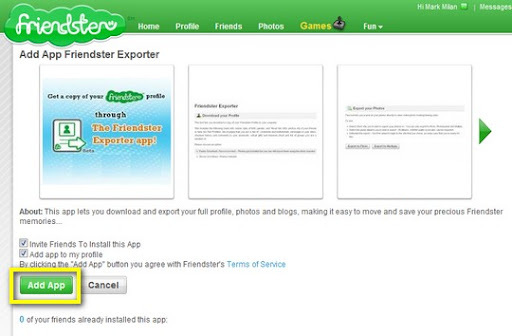 I had to refresh the page several times before I saw the app exporter app on Profile page.. Is Friendster really helping its' users to backup their profiles or not? You have to refresh the page until you see the app..
it says that the zip is unreadable. any other solution to this?